Its pink bloom resembles a tasty pineapple. With its spectacular color and exotic look, its sure to fill any room with satisfaction. 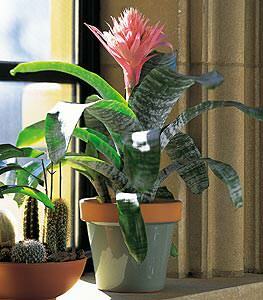 One bromeliad arrives in a decorative ceramic pot. Note: This item may require 24 hours notice in some areas.